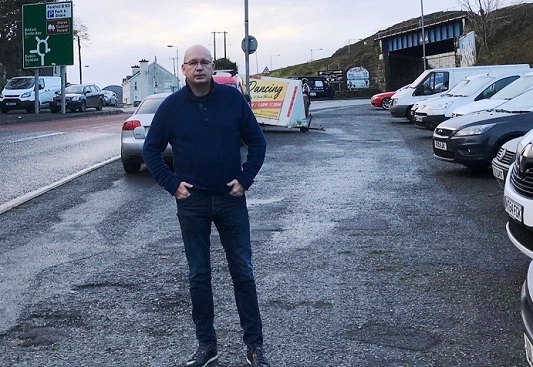 Newry SDLP Councillor Michael Savage has welcomed a commitment from DfI Traffic Management to install double yellow line corner restrictions at the Flagstaff Road junction with the Dublin Road at Cloughoge Bridge to alleviate parking chaos in the area. And he has also welcomed a commitment from the DfI to commence a process of identifying the potential to develop more park and share capacity in the area. 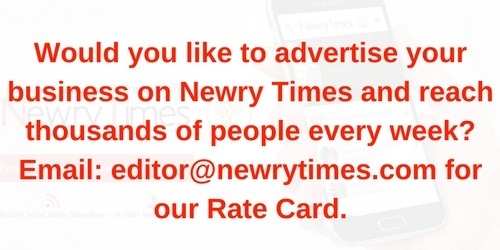 Speaking to Newry Times, Councillor Savage said, “I have been inundated with calls from residents living in the Flagstaff Road, Cloughoge Bridge and Carrivemaclone areas complaining that they cannot get in or out of the own properties due to commuters parking in these areas and then heading off to work in Dublin and Belfast in work vans or as part of a car pool. “The park and share facility is being outstripped by demand in the area and it is in urgent need of expansion to cope with the growing demand. “This area is swamped with cars from early morning to late in the evening and residents, farmers and business owners in the area are being greatly inconvenienced by motorists leaving their cars all day without any consideration of the access needs of the people living and working there. He continued, “The situation has got worse since I contacted DfI about this issue several months ago to such an extent that the Flagstaff Road now resembles a car park rather than a narrow country road. There are obvious health and safety issues with unregulated parking in the area and something needs to be done. “Farmers and business owners in the area are struggling to get access with tractors and lorries due to the road being narrowed by parked cars. “The people of this area fully understand that tradesmen and other commuters need to park somewhere when they are car pooling but that is what the Park and Share facility was designed for. Unfortunately this concept has become victim of its own success and it is not big enough to cope with demand. A spokesperson for DfI said, “DfI Roads is aware of concerns regarding parking in this area and arrangements have been made to mark the double yellow line corner restrictions at the Flagstaff Road junction with the Dublin Road. “We are also commencing the process of identifying the potential to develop more park and share capacity in this area but it should be noted that projects of this nature take some time to deliver while all the necessary processes are completed.